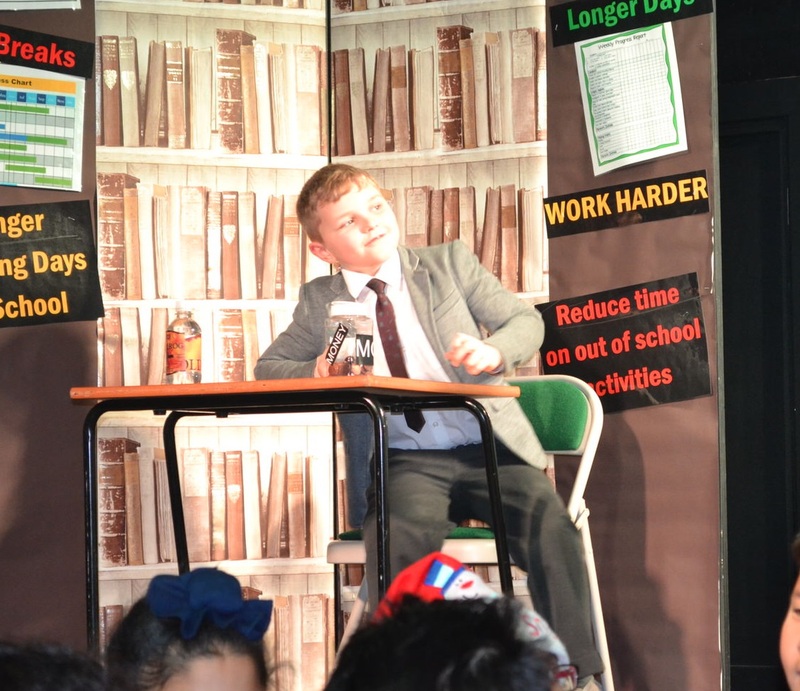 A big well done to pupils in Year 4 and Year 5 who put on a show stopping performance of ‘Mr Humbug sees the light’ this week. This super-spooky musical sees the Dickens tale, A Christmas Carol, brought bang up to date and set in school. Headteacher, Mr Humbug (Harrison), hates Christmas because it gets in the way of ‘proper’ work and costs too much, so he bans it! Can some ghostly visitors (Adeel, Jay and Ajay) persuade him to open his heart, and the petty-cash box? All of our pupils were amazing so a big well done to everyone involved. Their acting and singing blew us all away, and we hope you all enjoyed our celebratory journey through what we all remember and love about Christmas at school! Check out our gallery of images here.